SoCal Home Inspections, provides, quality professional home inspections and mold testing in San Diego. CREIA Certified Inspector. 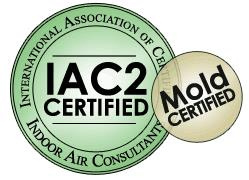 Residential, Commercial, Mold. CREIA Certified San Diego Home Inspector. At SoCal Home Inspections, we feel it's our job to not only inspect the property you're buying, but to educate you on how to maintain your new home. We take the time to show you where your emergency shut-offs are for the gas, water and electric service. We will even show you how to change the filter in your heating system and answer any questions you may have about the home's appliances or systems. Purchasing a home in San Diego is a huge investment, which is the reason you should be aware of the property’s current condition before you buy so that you can minimize unpleasant surprises and difficulties afterwards. This is a great opportunity to learn what changes you can make to ensure your new home is safe for years to come. We help to ensure that you're not going to get stuck with the "money-pit". A home inspector’s job is to identify and report the actual condition of a home’s systems and components. This is what every buyer needs to know. Even with new construction and condo-conversions, there are flaws that are detected during an inspection. After having a professional home inspection, you’ll have a clearer understanding of the property you are about to buy, which will enable you to make a more confident decision. Remember, no house is perfect. If the inspector finds problems, it doesn’t mean that you shouldn’t buy the house, only that you will know in advance what to expect. At SoCal Home Inspections, we'll review with you on-site, any issues found with the home and you'll receive your written report, along with full-color, digital photographs the same day via email. It’s not necessary for the buyer to be present during the inspection, but it is recommended. By observing and asking questions during the inspection, you’ll learn a great deal about the condition of the home, how its systems work and how to maintain it. Witnessing problem areas first-hand gives you a better grasp of what is and is not an issue. Being present also allows the inspector to explain thoroughly the findings and to answer any questions right on site. We're here to help you make a well-informed decision in the home buying process. Whether you're in La Jolla, Chula Vista, El Cajon, or downtown San Diego, SoCal Home Inspections is the right choice! SoCal Home Inspections, Inc. Persons in photos are at least 18 years of age.